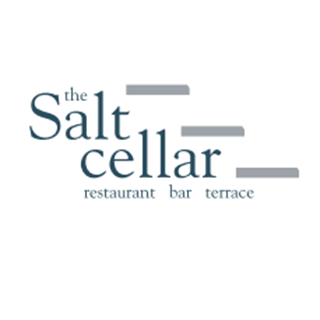 Owned and run by four good friends, who have a wealth of experience in high quality hotels and restaurants, The Salt Cellar was born in February of 2016. Collectively we have a passion for Pembrokeshire and all it has to offer, taking inspiration from it’s stunning coastline, it’s rolling green hills, it’s endless supply of amazing quality ingredients and the people who produce them. The food and drink were very good throughout and the service was friendly and efficient. On the night we went there were only a couple other tables occupied, so the atmosphere was a little subdued. And the lighting was a little too dim for my liking. Prices are a little steep for Tenby, but you are paying for top quility food. Fab meal again thanks.Quality of food and service excellent. the whole  Salt Cellar team had positivity behind the smiles. The food was good, tasty, right temperature and dishes up timely, for our party of 11. No mean feat! Very attentive and lovely decor. Really enjoyed the Sunday lunch menu. Looking forward to returning in the near future. Amazing night at the salt cellar! Service is amazing and made us feel special throughout the whole time we were there. Fantastic food and fantastic service. A superb menu and extremely flavoursome food. All four of us thoroughly enjoyed our food which was so flavoursome. Wonderful evening thank you. The food and service was amazing we will be coming back! Used travel zoo vouchers with no issues fantastic food thank you. Quality of the food is excellent. As close to fine dining as you can probably get in Tenby. The portions are larger than you would normally expect for fine dining which for me is a good point. Prices are better than I would expect for the quality of the food. Staff are very friendly and knowledgable about the menu and hence the service is very good. Good choice on the menu which has a nice sprinkling of local influence. Yesterday’s visit was faultless. The slight down score on atmosphere is because I have only ever eaten there at lunch time and over New Year which probably made it quieter than it would otherwise be. Would like to try an evening visit when I would imagine the whole experience is a little more atmospheric. Still a nice atmosphere though. We had our work’s Christmas lunch at The Salt Cellar so we were a large group of 15 people. The service was friendly and efficient and the food was superb. From the beautiful starters to the fabulous mains and calorific desserts, all food was delivered hot, beautifully presented and was so tasty. 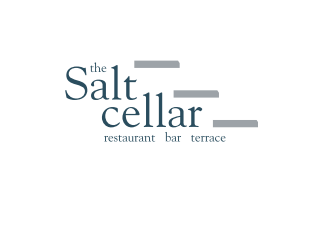 Well done to everyone at The Salt Cellar, you must all be very proud of your fantastic venue. We organised our works Christmas party here, and it was quite a departure for us. Highly recommended, fine dining, excellent service and 100% all round. We will be back! Lovely starter and main. Desserts all round were disappointing. Overdone treacle tart and and pistachio ice cream that didn’t taste of anything. Not enough of one of the desserts and we were only the second table of the day to order them. Once again an absolutely wonderful experience. The food remains at its impeccable high standard and the service just as high. A calm atmosphere with a cosy feel. This time we returned with our 10 week old baby and they couldn’t do more to make us feel welcomed and settled with her. Lovely evening, will return for sure. Great meal yet again. A very suitable location for a cosy romantic celebrational  meal.